When comparing prices on 360 degree LED light rentals in San Jose, Hollister and Santa Cruz, ask about sales tax and environmental fees. Light up everywhere at once. No bulbs. No heat. Instant start.The Beacon360 Trek casts light in 360° and upwards, illuminating work areas up to 25' in every direction. 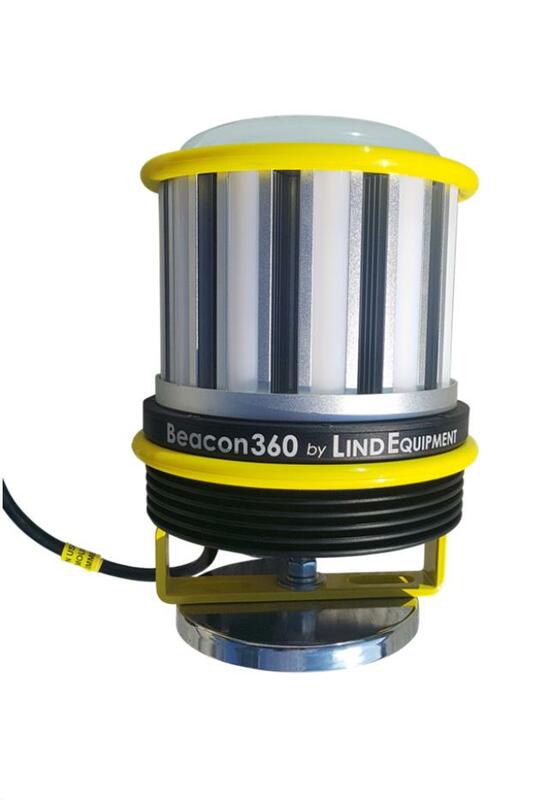 Ideal for construction, maintenance, events and shutdowns, the Beacon360 Trek is durable, rugged, easily transportable and will provide the lighting power you need instantly, every time. The 4-8' tripod can raise up to move the light out of eye level while illuminating a greater area. Indoors. Outdoors. Wherever you need a tough, bright area light, the Beacon360 Trek is there for you. * Please call us for any questions on our 360 degree led area light on stand rentals in San Jose, Campbell, Salinas, Santa Cruz, Watsonville, Morgan Hill, Hollister, Santa Clara, Gilroy, Milpitas Sunnyvale, Fremont, Salinas, the Greater Bay Area and the Monterey Peninsula.